Disclaimer:- this is NOT a paid review, this is a product I bought and have been using for a while so I am writing an article about it. As with all modern purchases you nearly always have to buy something extra to get the most out of the product. With the Xbox One the controller does not come with a rechargeable battery pack, you have to buy AA batteries. If you buy cheap Zinc acid batteries the controller will eat through them, though buying slightly better Alkaline batteries increases the time between changing them. When I first got the Xbox I bought a pack of alkaline batteries, because the local Argos was out of stock of the rechargeable packs, Christmas! So every few days while in town I kept checking Argos to see if they had any in store, eventually they did just before my last pair of AA’s ran out. For £14.99 I got the Twin rechargeable Battery Pack (VS2850) from Venom. 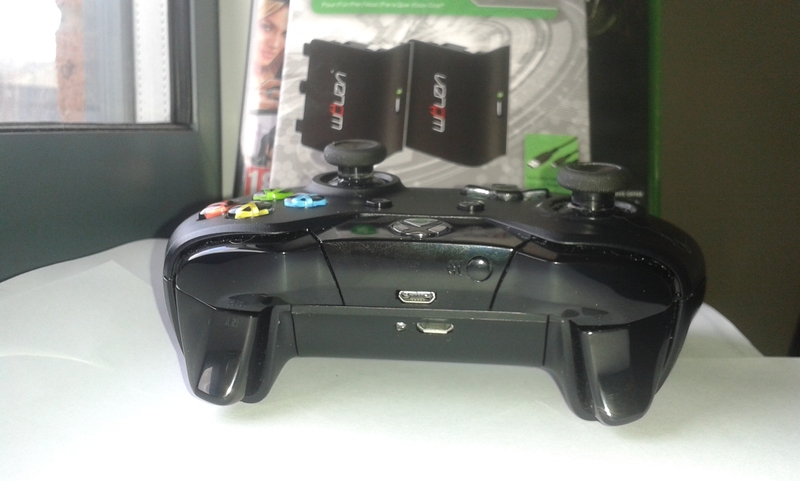 The battery pack fits smoothly into the game pad and has its own USB charging port and has a bright green charging LED. As the pack charges up it flashes once it’s fully charged it stops flashing and is on continuously. It’s a very bright LED so for me it’s great cause I’m lazy and only using one battery, so it gets charged while I’m playing. The light is bright enough to bounce off my jeans, floor or wall for an obvious feedback. With the battery pack having its own charging socket it does not have to be plugged into the game pad to charge, so I could have the second pack charged ready but I just charge and play, that’s just how I roll. The USB cable is 2m in length total, it’s shaped as a ‘Y’ with each branch been 1 metre long. It’s a fully functional USB cable and can be used as such it is not just a charging cable. I can’t say if the packs charge up in 2 hours because I play and charge. But I only have to charge up about 2.5 times a week so the rated playing time of 18 hours per charge seems true. So there stated specifications are correct which is always a good thing to know about a potential purchase. Now the 2 metre USB lead is a real winner for me. Normally Hi-tech purchases seem to have their power connectors be on the frugal side. 1 metre sounds a good distance but can mean that expensive devices can be in harm’s way due to the distance constriction. I use this cable while gaming on my PC using the Xbox controller, means I’m not just sat at my desk gaming, I can be a bit more languid. Fourteen pounds and ninety nine pence well spent I would say, does everything it’s supposed to with a nice little benefit of a long charging cable. When I get a second controller I already have a battery pack. Winning! Gaming both on the PC and the Xbox One general game chat and including guides and coaching. 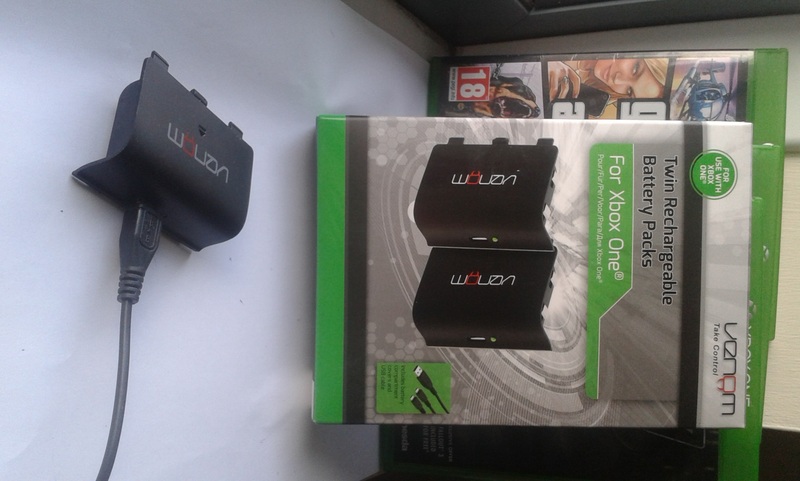 This entry was posted in Review and tagged charging, Review, venom, venom uk, vs2850, xbox one. Bookmark the permalink.